Healthcare giant Pascual Laboratories shares how Cloud adoption has helped their employees collaborate better—wherever they choose to work. Delivering quality, innovative and family-friendly health and wellness products to every community it touches has always been at the core of Pascual Laboratories, Inc.’s (PascualLab) business operations for more than 70 years. To further improve the way it produces, manufactures, and markets its products, PascualLab saw the need to redefine its internal processes to grow its business with better employee collaboration, to have a more secure sharing and storing of files, and to improve all-around productivity. The partnership with PLDT and e-PLDT provided them with the solution. ePLDT, the industry-leading enabler of digital enterprise solutions in the Philippines, and PLDT Enterprise recently entered into a strategic engagement with one of the Philippines’ top pharmaceutical players, PascualLab, to provide the organization and its teams with an office suite of solutions that will help address several of its work challenges. One of these challenges include ‘long distance work relationship,’ a pressing issue brought on by the multi-location of the pharmaceutical company’s offices, and that had posed a challenge to the seamless everyday flow of work at its corporate office, plant, and farm. “Everyday, we experience challenges in the office—from missing files to attaching huge documents in our e-mails. Most days, we are able to overcome them; but looking at it from a long-term perspective, they may have caused us a significant and unnecessary amount of time, effort, and expenses. They also affect our efficiency and productivity at work, which lead to delays in our deliverables,” said PascualLab Director for HROD, Design Services and Corporate Communications Mia Pascual Cenzon. Office 365 is a suite of productivity tools, which allows users to work anytime, anywhere, and on any device. It boasts of communication solutions built for effective team collaboration—from e-mail and IM (Instant Messaging) to social networking and video conferencing. (L-R) First Vice President and Head of PLDT ALPHA Enterprise Vic Tria;, Group Financial Controller of ePLDT Group Dang Garcia-Amistoso; Senior Vice President and Head of PLDT & SMART Enterprise Business Groups Jovy Hernandez; President & CEO of Pascual Laboratories, Inc. (PascualLab) Jappy Pascual; Chief Financial Officer and Vice President for Corporate Administration & Information Communication Technology Department Joseph Gran; Director for HROD, Design Services and Corporate Communications Mia Pascual Cenzon engage in a strategic partnership for the healthcare company’s adoption of Office 365 for its employees in its headquarters in Quezon City and in satellite offices in Bulacan and Nueva Ecija. To educate PascualLab employees on how best to utilize the productivity solution, ePLDT conducted the Office 365 Caravan in the company’s headquarters in Quezon City, at its manufacturing plant in Balagtas, Bulacan, and at its organic farm (the largest certified-organic farm by the Organic Certification Center of the Philippines)—Leonie Agri Corporation—in Nueva Ecija. “Innovation is part of our core values but unfortunately, most of the innovation is at the manufacturing side of our business. The operations and services we have here in the main office should be on equal footing and of equal priority when it comes to innovation. This is where we need Office 365 the most,” said of PascualLab President and CEO Jappy Pascual, “With the challenges posed by an ever-changing world, it is vital that we remain relevant in adopting technological advancements that improve experience, efficiency and multiply results,” he added. Prior to the contract signing ceremony, PascualLab went through its migration process to fully integrate Office 365 into their day-to-day business operations. ePLDT immersed PascualLab employees’ selected champions in the suite’s full features in a series of on-boarding sessions. With Microsoft Office 365 implemented by ePLDT expertise, PascualLab’s processes and services will be delivered through cloud to save time and resources, access business information and data in a secure platform, and revolutionize collaboration through business applications that employees are already familiar with. 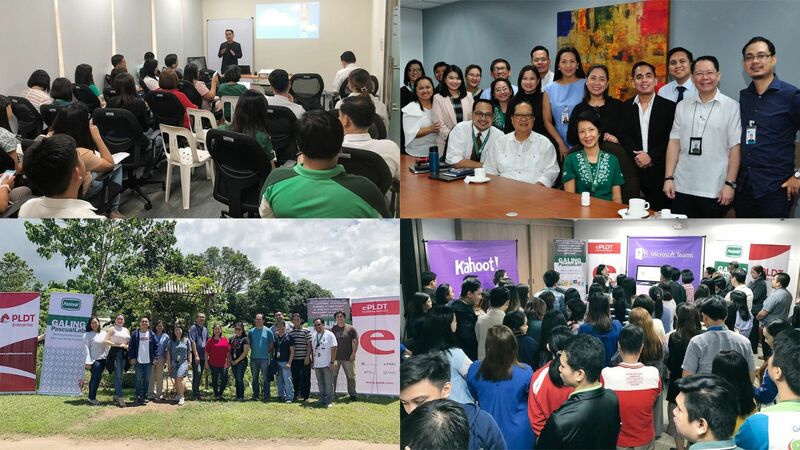 ePLDT, PLDT Enterprise, PascualLab and Leonie Agri Corporation representatives gather together during the onboarding session and Office 365 Caravan in Bulacan, Quezon City,and Nueva Ecija. Pascual Laboratories, Inc. Chairman of the Board Dr. Abraham Pascual, also joined the training session. PascualLab has initiated steps to promote internal collaboration as well as support, enhance, and empower its workforce’s mobile experience with Office 365. 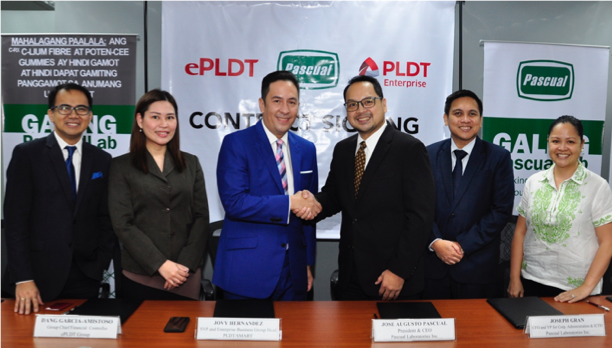 For ePLDT Group Senior Vice President and Chief Operating Officer Nerisse Ramos, this means ensuring that a trailblazer in the pharmaceutical industry such as PascualLab will be more able to achieve its vision for strong, healthy families with the help of the best digital business solution available today. ePLDT is the top Cloud Solutions Provider of Microsoft Office 365 in the Philippines and one of the leading in the Asia Paciic region. It received an International award from Microsoft as the PH Country Partner of the Year for 2017, and the Microsoft Philippines SME Cloud Service Provider Partner of the Year 2017.